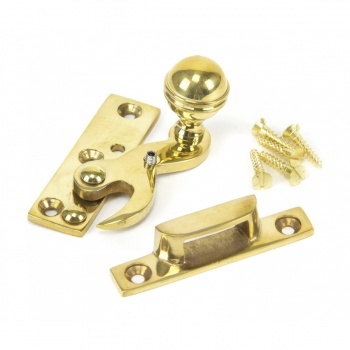 Polished Brass sash window knob hook fastener used to secure your sash window. 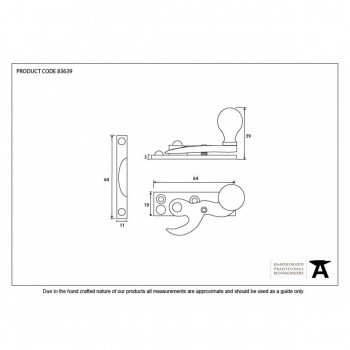 Ideal for use on a narrow top rail due to a thin fixing of the keep. 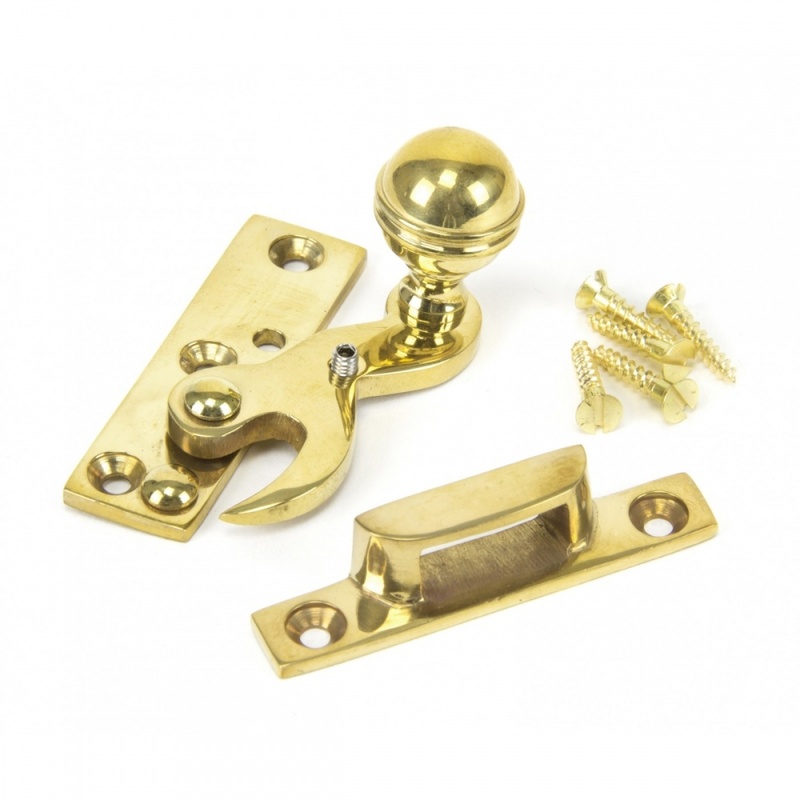 Lockable by way of a grub screw, part of our period sash window furniture range.